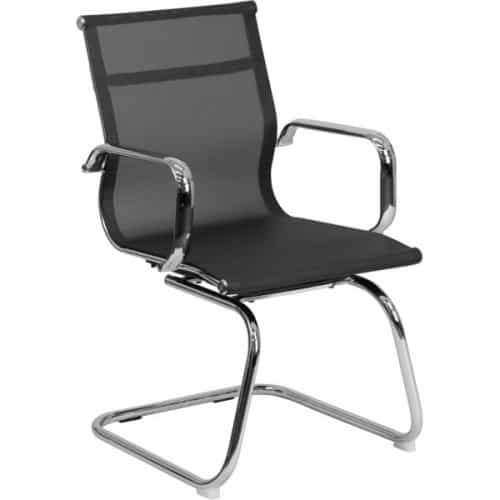 The Allure Mesh Side Chair is a great companion to any office or home with its elegant design and chrome trimmings. The mesh allows ventilation throughout the day to keep you cool, There is a built in lumbar support for comfort and back support. There are also floor glides on the bottom of the chair to make sure it does not leave marks on the chair. 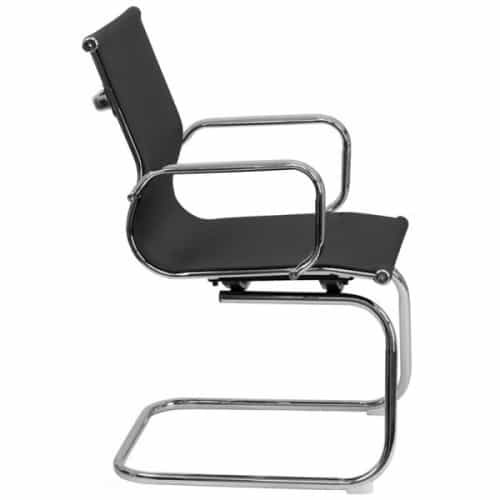 Needed some chairs for our reception room and these were absolutely perfect and were a great price. Really helpful staff too. I was encouraged to buy this chair for my home office as I did not want a chair with wheels that my kids would just roll around the house. I find it to be very comfortable for long hours. I like the black mesh mixed with the chrome trimming as it gives it a very luxurious vibe. I am very happy. Very happy with this chair. The mesh is very comfortable and the color is great too. 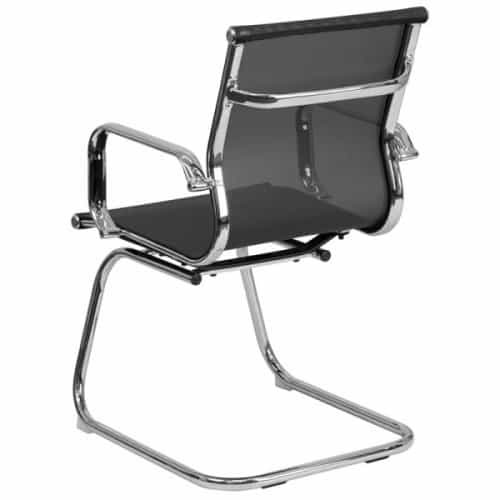 The chrome base and arms makes this chair look like it costs a lot more than it does. It is a great deal. Use in the Office, Home or while TravelingErgonomic shape supports mid and lower backFirm SupportDen..